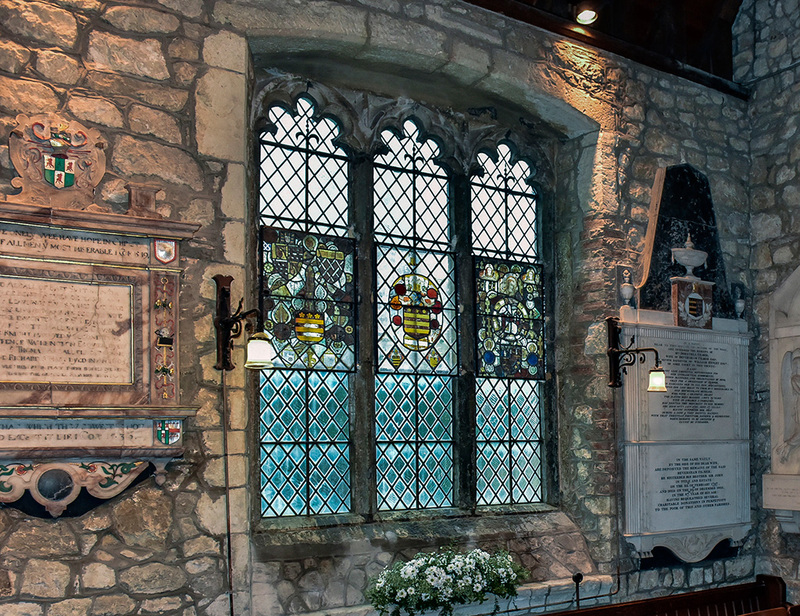 On 30th January 2016, a service of commemoration and rededication of the Filmer Armorial Window was held at St Peter’s and St Paul’s Church in East Sutton. 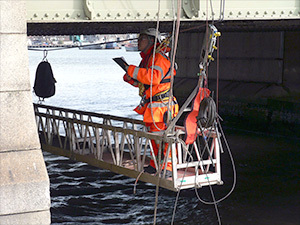 The service coincided with the hundredth anniversary of the death of former Bridge Warden, Sir Robert Marcus Filmer. Find out more about the service here. 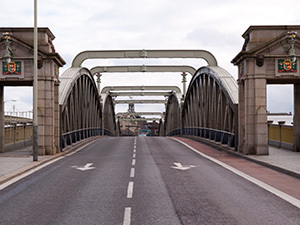 The connection between the Rochester Bridge Trust and the Filmer family began in 1859, find out more about Sir Robert Filmer. The Filmer family has a long connection with East Sutton church, find out more about the Filmer Armorial Window. During the service of commemoration and rededication, the Lord Lieutenant of Kent, Viscount De L’Isle gave a eulogy for the Grenadier Guards. A selection of pictures from the service of commemoration and rededication can be seen Facebook Photos. 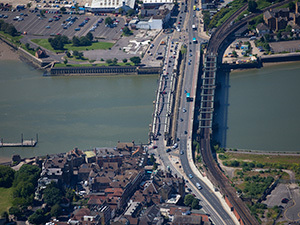 The connection between the Rochester Bridge Trust and the Filmer family began in 1859 with the appointment of Sir Edmund Filmer Bt. JP, to the Court of Wardens and Assistants. He served for 27 years and was appointed Senior Warden four times. Sir Robert Marcus Filmer was the second son of Sir Edmund, whose firstborn had died in infancy. Sir Robert was born in London on 25th February 1878 and, after his father’s death in 1886, inherited the baronetcy when he was just eight years old. The family stayed at their London home in Eaton Square, Knightsbridge, while Sir Robert attended school at Eton. 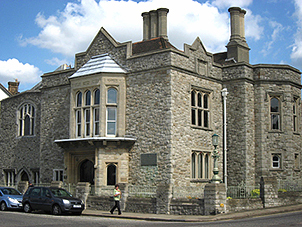 The family home of East Sutton Place was let to tenants. 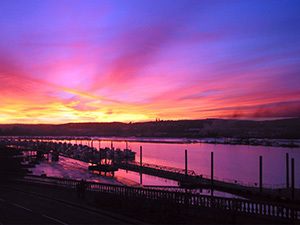 After completing his schooling, Sir Robert attended the Royal Military College at Sandhurst. He then went on to serve with the Grenadier Guards. His first overseas posting was to the Sudan in 1896. He was a member of the Nile Expeditionary Force in 1898, where he was present at the Battle of Omdurman; and he served in South Africa during the Second Boer War. He eventually resigned commission in 1904 when he transferred to the reserves, where he held the rank of Major in the Royal East Kent Yeomanry, also known as The Duke of Connaught’s Own (Mounted Rifles). Living as a civilian, Sir Robert returned to East Sutton Place and became a justice of the peace. 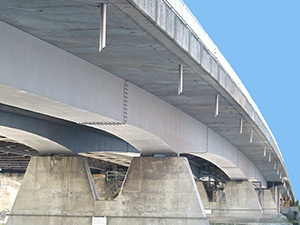 In 1907 he was appointed by Kent County Council to serve as an Assistant Warden of the Rochester Bridge Trust, where he took a particular interest in the finances of the Trust. 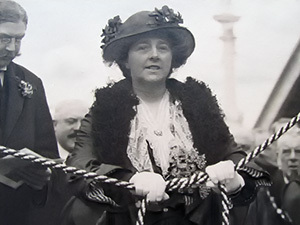 He also stood, unsuccessfully, as the Conservative candidate for Lincoln in the two general elections of 1910. Following the outbreak of war, Sir Robert re-joined his old regiment on 1st February 1915. He was attached to the 4th Battalion for service in France from 26th July 1915, and was promoted to the rank of Temporary Captain on 25th October 1915. Sir Robert Filmer was awarded the Military Cross for conspicuous gallantry and skill. The Regimental History records details of a daring reconnaissance mission, crawling across no-man’s-land to locate a gap in the barbed-wire defences of a German machine gun emplacement. He then led a raiding party which rushed the trench just a few yards from the enemy, where hand-to-hand combat and bayonetting began in earnest. The trench was completely cleared and the machine guns destroyed. Just six weeks later Sir Robert died of wounds sustained when a shell exploded close to him. His body rests in the Merville Communal cemetery in northern France. On 11th February 1916, a memorial service was held in East Sutton church and attended by Lord Harris, the acting Lord Lieutenant of Kent. Sir Robert’s heir, his nephew Lieutenant Arthur Wilson, was unable to attend because he had left for the front the week before. A meeting of the Court of Wardens and Assistants in March 1916 recorded their “deep regret at the loss of their colleague”. It was resolved unanimously that “a memorial tablet should be affixed to the walls of the Bridge Chamber to commemorate the services of Sir Robert Filmer as a Member of this Court, and his gallant death in the service of his King and Country”. The tablet remains on at the top of the main staircase in the Bridge Chamber, a permanent memorial – like the stained glass of the Filmer window – to a life of service to his country in both war and peace. The Grade I-listed church of St Peter and St Paul, East Sutton, standing on the site of a wooden Saxon church recorded in the Domesday Book, was constructed in the mid-thirteenth century from locally-quarried Kentish ragstone. 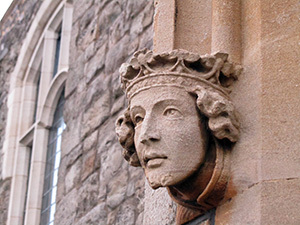 Fourteenth-century additions include the north and south chapels, and the tower, south porch, and north and south aisles date from the fifteenth century. During medieval times the patronage of the church belonged to Leeds Priory; but following the dissolution of the monasteries it passed to the archbishop, and the church was annexed to the vicarage of Town Sutton (now Sutton Valence). The long association of the Filmer family with the church and the village began in the later sixteenth century, when Sir Edward Filmer bought East Sutton Place from his brother-in-law John Argall. Many interesting memorials to members of the Filmer family appear throughout the church, most notably the floor brass in the north chapel that commemorates Sir Edward Filmer (d.1629), his wife Elizabeth, and their nine sons and nine daughters. In 2013, while researching the life of Sir Robert Filmer for a commemorative exhibition at the Rochester Bridge Trust, Bridge Clerk Sue Threader visited East Sutton church. During the visit she noticed the panels containing fragments of medieval stained glass attached to the inside of the south chapel window, each panel supported by a single corroded iron lug embedded in the stonework. The diamond pattern of the external window glass and the deterioration of the panels obscured the detail of the design, but it was just possible to make out the Filmer coat of arms beneath the grime and corrosion. 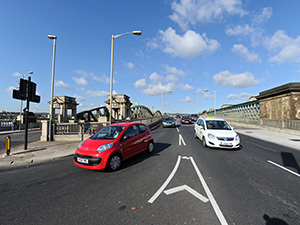 In November 2013 the Rochester Bridge Trust commissioned a condition report from Léonie Seliger and Katie Harrison of the Cathedral Studios in Canterbury. 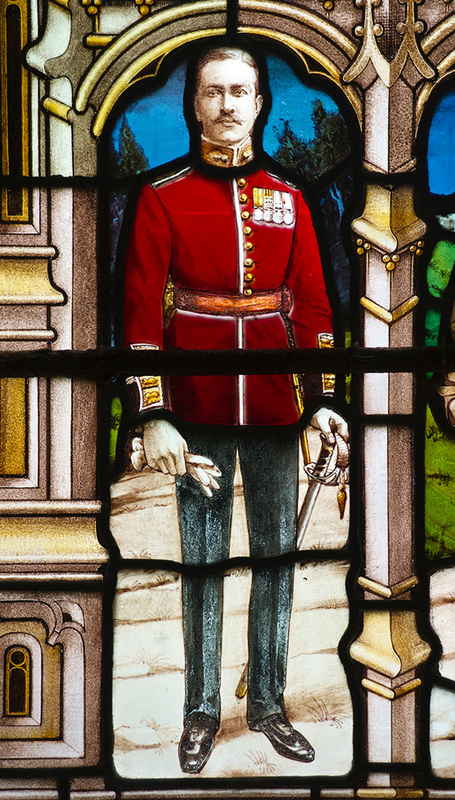 To commemorate the life and service of Sir Robert on the 100th anniversary of his death, the Trust decided to contribute to the cost of the restoration and stabilisation of these fragile window panels. 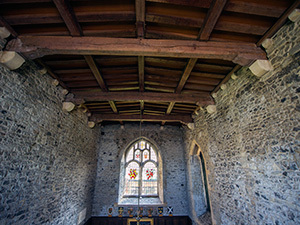 On 2 June 2015 David Griffiths, Fernando Cortes Pizano, and Alison Milligan removed the three panels from the church to the studio in Canterbury. During the summer conservators Alison Eaton and Joy Bunclark, assisted by photographer Laura Atkinson, painstakingly cleaned and repaired the historic stained glass, carefully recording each stage of the process. With the conservation completed, on 11 August 2015 David Griffiths, Alison Eaton, and Grace Ayson reinstalled the panels in the south window. The left hand panel depicts foliate decoration surrounding three heraldic shields, two at the top and one at the bottom. 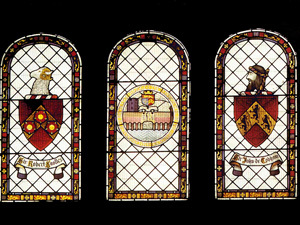 The fourteenth-century shield in the upper left is believed to be the arms of Laurence de Hastings, Earl of Pembroke (d. 1348). The fourteenth- or fifteenth-century shield in the upper right depicts the arms of St Leger. The seventeenth-century shield in the lower portion displays the arms of Filmer. The centre panel contains unpainted medieval diamond quarries surrounding the heraldic achievement of Filmer, dating from the seventeenth century. The achievement comprises a crest formed of an esquire’s helm surmounted by a silver falcon rising from a castle with closed door, and arms of three gold bars with three cinquefoils above. The right hand panel dates from the late fourteenth and early fifteenth centuries. In the centre is a fragmentary garter – a very early representation as the Order of the Garter was established only in 1344. In the upper corners, the heads of two angels flank a fragment showing the head of the Virgin with a scroll inscribed with the words “Ecce Ancilla Domini” (Behold, the Handmaiden of the Lord) . The heraldic shield in the lower part of the panel is thought to be the arms of Richard, 3rd Duke of York, father of Edward IV. The life of the First or Grenadier Regiment of Foot Guards began in Flanders in 1656. The Regiment has fought in almost every major campaign and supported every major operation of the British Army from that time until our own: from the American Revolutionary War; to the War of the Spanish Succession and the Peninsular Wars; the Crimean War; the Boer Wars and both world wars; in Northern Ireland, the Falklands, Bosnia, Iraq and Afghanistan. They fought at Waterloo, the battle in which the Regiment gained its present title and undying fame. In the Great War of 1914-18, the Grenadiers fought in nearly all the principal battles of the Western front. The colours of the Regiment are inscribed with the Marne, Ypres, Loos, the Somme, Cambrai, Arras, and the Hindenburgh Line, commemorating its part in the bloodiest war of this country’s history. Heavy losses were endured throughout and, before the final victory was won, 12,000 casualties had been suffered. In recognition of their great effort during the Great War, King George V decreed that the rank of Guardsman should replace that of Private in all guards regiments. At its foundation, rigid attention to detail, flawless perfection of uniform and equipment, and a discipline of steel were the hard school in which the tempered metal of the Regiment was made for the service of the State. Yet running through that tradition of discipline ran a vein of humour, of loyalty to comrade, of sense of belonging to something greater than any individual, something undying and profound. “That same discipline which has made this Regiment ever ready and terrible in war has enabled it to pass long periods of peace… without the loss of vigour and energy; to live in harmony and good-fellowship with its fellow citizens; and to … never disturb [law and order], or give cause of complaint, either by insolence or licentiousness. Let us hope that for centuries to come these noble qualities may still shine forth, and that the Almighty will continue to shield and favour this little band of devoted soldiers”. What we have done for ourselves alone dies with us; what we have done for others and the world remains and is immortal. May all who perished in the Great War rest in peace.